The Missouri National Guard Association (or, MoNGA) was established in 1947 for the purpose of providing united representation for all Army and Air National Guard members of the State of Missouri (enlisted and officer personnel and Guard retirees). As the Association represents all Guardsmen and Guard retirees, MoNGA is better heard by the Missouri General Assembly, the US Congress, and other policy makers. Simply stated, the mission of MoNGA is to improve the quality of life for all Guardsmen, retirees, and their families while ever-seeking to improve the readiness and capabilities of the Missouri National Guard in fulfilling its state and federal responsibilities. The Missouri National Guard Association is officially designated as a not-for-profit, 501(c)(19) Missouri-based corporation. Offices of MoNGA are located at Missouri National Guard headquarters, the Ike Skelton Training Center, Jefferson City, Missouri. The current President of the Association is Brian K. Kirkpatrick, Missouri Army National Guard (Presidential term: 15 April 2019 to 27 April 2020). The Executive Director of the Missouri National Guard Association is Dr. Joel D. Denney. 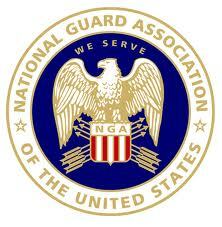 For a complete list of members of the Board of Directors of the Missouri National Guard Association, click here. The MoNGA Auxiliary has announced its scholarships for this year. For 2019, three scholarships in the amount of $500 each will be awarded. The deadline for submission of scholarship applications is 31 May 2019. The scholarships are limited to undergraduate college students. For the application, including application guidelines, click 2019 Auxiliary Scholarship. For inquiries about the MoNGA Auxiliary Scholarship for 2019, contact Sabrina Schaab, Chairperson, Auxiliary Scholarship Committee. For Annual members of the Missouri National Guard Association, it's time to re-invest in the total Guard experience and remit dues to MoNGA--including paying MoNGA Auxiliary Dues. Annual dues that are paid to MoNGA will keep a member "dues current" until 1 January 2020. Dues for 2019 are unchanged from the dues schedule for 2018. See both the 2018/2019 MoNGA Dues Schedule by clicking here. Dues for individuals desiring Associate or Retired level membership are also noted on the schedule. MoNGA Membership dues can be paid via US mail or online. To pay MoNGA dues by mail, complete the Pay-by-Mail Membership Form and send the completed form with the appropriate dues payment (that matches rank/pay grade) to: Missouri National Guard Association, Missouri National Guard Headquarters, 2302 Militia Drive, Jefferson City, Missouri 65101-1203. To print a copy of the Pay-by-Mail Membership Form, click here. To pay MoNGA dues online, click ONLINE. This is the preferred method by MoNGA for the payment of dues and better assures that a paying member will receive information about MoNGA events and MoNGA news. Credit card transactions are easy through MoNGA's safe, secure payment gateway. To pay dues online, remember that persons must first register on the MoNGA web site (if not registered, already). After one registers on the MoNGA web site, it is important to keep profile information (especially one's email address) up-to-date. To pay MoNGA Auxiliary dues, click here. For email responses to questions about dues, including questions about Corporate membership, click here.